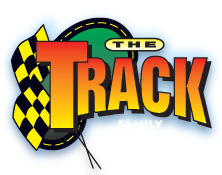 The Track is your family headquarters for fun in Pigeon Forge, Tenn. Our action – packed family fun recreation center, with many amusements, FEATURES the ultimate in go kart tracks, like The Wild Woody, a three – tiered go kart / roller coaster hybrid. Race your kart around our large figure eight style Track. Challenge your friends and family to exciting themed miniature golf, splash ‘em on Blaster Boats, and smash ‘em on Bumper Cars.